I had the chance to attend the first ever Cover fx blogger event! I don't think I have ever told this story but the first brand I ever used in school was COVER FX! Since 1985, Lee Graff, a corrective makeup specialist at the CosMedic Clinic at a leading Canadian hospital, has worked with thousands of patients with various skin conditions. Together with Chemical Engineer Jenny Frankel, and leading Dermatologist Dr. Neil Shear, Lee began development of Cover FX. The whole event was VERY educational and hands on! I was surprised that Lee Graff & Jenny Frankel attended. They told us their personal stories about the brand and how much it means to them. Also they answered EVERY single question we asked! As a MUA I know that a flawless canvas is the best to work with. Since everyone skin has different needs Cover FX has 6 formula options! Did you know Cover FX can also cover Tattoos!! At the end of the event each girl walked out with "The Big Cover Starter Kit" + BritePrep FX, Mint Glaze lip primer &ClearPrep FX. This sunday I had the chance to meet some amazing girls. TBBM was organized by FacesbyFarah!! This girl is amazing, she did a great job putting everything together. Believe it or not there were 18 beauty bloggers & 7 beauty companies!! If you haven't check out my Annabelle Smudgeliner review click here. I'm wearing it on my top & bottom lid. Annabelle Cosmetics is a Canadian makeup brand driven by its passion for colour and texture. With their superior long-lasting formula and rich colour pay-off, Annabelle Smudgeliners are a must-have to add depth to any look! Let them glide to create a defined line, or blend gently with the built-in smudger tip to achieve a smoky, sultry look. Even though Annabelle is a drugstore line, I think that it is VERY comparable to MAC. I am honestly in love. I know these are called smudgeliners but they don't smudge unless you smudge them. The tips are creamy and don't tug or pull your eye when applying. 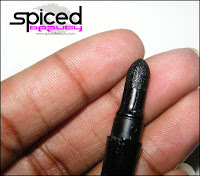 Since I wake up at 6:30 AM.. these liners are the easiest to apply.You can control the size of the tip. I either sharpen mine to a pointy tip for a thin line or use it regularly for a thicker line. PLUS the cleaning stick helps ALOT! On the other end of the pencil is a rubber smudger. I've had a bad experience with a previous smudger almost blinding me..haha. But this one was soft and makes a great smokey eye! Overall I would buy these for myself and my MUA kit! If your in Canada click here for locations that sell Annabelle! Click here to find out how to purchase Annabelle if your from the US. 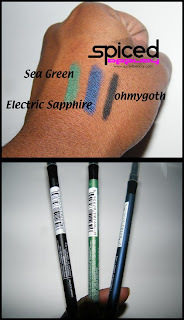 I was sent these products to review by Annabelle cosmetics. 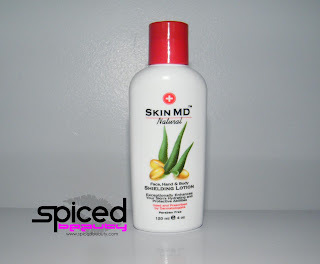 The wonderful people at Skin MD provided me with a bottle of Skin MD Natural™ to review + giveaway. Skin MD Natural™ shielding lotion that helps the skin restore its integrity and enhance its protective functions so that the skin is able to heal naturally and regain its youthful appearance. Skin MD Natural works by bonding with cells of the skin's outermost layer to form an invisible shield. This layer of protection prevents environmental irritants and pollutants from penetrating the skin, while locking in the skin's own natural oils and moisture, helping heal dry skin, leaving skin feeling silky and smooth.It is dermatologist recommended and hypo-allergenic. It is also fragrance, colorant and paraben free, so it is safe to use for the whole family. Monday to Friday he works with trouble youth and kids, Weekends he's an A/V tech. In other words he washes his hands A LOT! So his hands aren't as soft as I would want them to be. We've been looking around for a perfect lotion that wouldn't evaporate easily & keep his hands moisturized. I found out that Skin MD Natural™ worked quite well for him. Since it's not a big bottle it's not embarrassing for him to carry it around with him. Also it doesn't leave a greasy residue behind when he's setting up the A/V equipment. Win a bottle of Skin MD Natural™! Perfect gift for yourself or your bf/gf! "Why do you need Skin MD?" This giveaway is sponsored by Skin MD. My everyday face .. What is yours? I don't wear any foundation on weekdays because it takes way to long to apply! BUT if I had to choose it would be MAC select TINT in NW45. what does your everyday face consist of? Do you wear foundation & concealer everyday? One on One with Jenn featuring apetitediva! 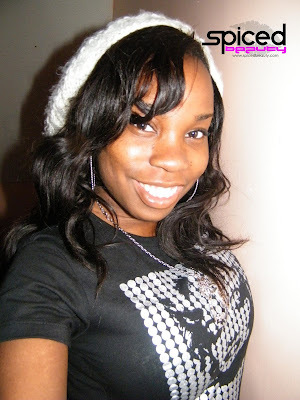 This Petite diva talks about everything from having confidence to how to get amazing skin! 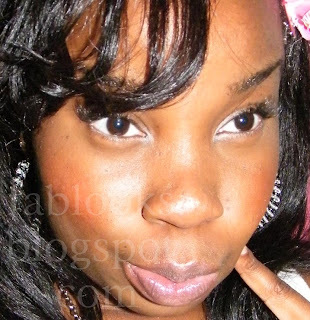 Click here to go to her blog! When did you become a make up junkie? apetitediva: Watching my mom put on her red lipstick everyday. That's too cute! Are you also a red lipstick wearer? apetitediva: Yes, I am red lipstick wearer! What brands are currently your "staple?" I love the fact that you don't only use high end products! What is your favorite l'oreal product? Ahh! So that's how you get your liner so perfect! I have for the girl's out there..What foundation do you use and do you have any tips? apetitediva: Tips: for a perfect airbrushed foundation finish, use a stippler brush and make sure you set it with a powder. I recommend finding a microdermabrasion system that works for you and use it 2-4 per month. 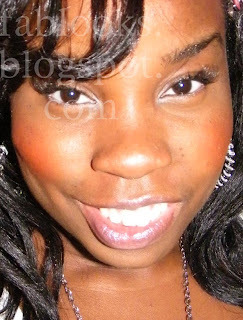 I use Mary Kay's Microdermabrasion set. Also, moisturize twice daily (even if you have oily skin). My hg foundation is MAC's Studio Fix Fluid in NW30, but recently I've been loving Revlon's PhotoReady in 006, I still don't have a final verdict on it, all I can say for now is your skin cannot have any dry skin patches, it will show, but I can say the same with MAC, so exfoliate please. These girls better be taking notes! I've never tried microdermabrasion, why is it important to you? apetitediva: We all want an even complexion, besides drinking water and avoiding sugar, microdermabrasion is the next best way to clear it up. Microdermabrasion will help unclog pores and remove the surfaces accumulated dead skin cells. It'll also promote your surface skin cells to renew and increase collagen production. It's safer than chemical peels and a lot of people can't handle that. Great information! Now I know why you have amazing skin! 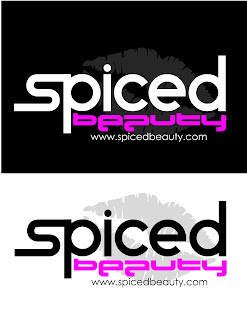 Do you have any advice for newbies in the beauty community? apetitediva: First off, makeup isn't necessary to be beautiful. Trust me I walk around w/out makeup some days and I'm still confident in my beauty. I'll be honest, reading blogs, watching youtube videos and qvc/hsn are great resources. I love shopping at Nordstrom & Sephora b/c of their lax return policy, so if a new product doesn't work for me, I can go back, explain my issue and a sales associate will help me pick up what's right. Don't ever be afraid to ask for help from a sales associate. If you want to be featured click here! Ye just some fashion ramblings...my face is pretty naked but still fab..lol! Just MAC Plushlash & Sapplious...But we're not here to talk about makeup.. I love hats! I wear one like 4 out of 7 days a week. 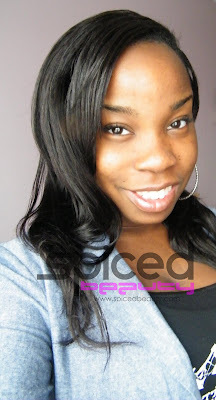 It look super cute with curls or straightened hair! I get all my hats from H&M. This one was from H&M's Hennes department and it $3.50 on sale!! But I need to get red to match my Olympics gloves!! Isn't shirt fab!?! I got it from Burlington Coat factory for $4.99!! 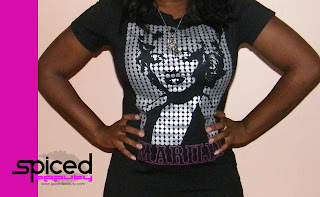 Do you like hats or graphic tees & how do you wear them? Do you help a friend who's committing a fashion CRIME?? This is a MESS! I don't get it.. I don't even know where it's going! LOL. "If you see your friend making a fashion crime or TWO, do you call them out?" I love the HD foundation! It makes my skin looks flawless! It's NOT heavy or cakey! The only set back is the price..Everyone can't spend 50 with tax on foundation. The MAC 20 lashes are my favorite because they are half lashes. 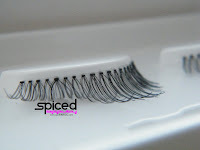 If you have problems with lashes, you will love these! Although they are long they look so natural from the side! Girlies let me know if you would wear this look? Also should I do more FOTD's? P.S I tagged the pics before I got my domain name. 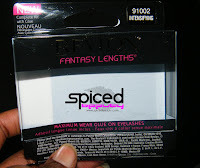 I will be reviewing Revlon Fantasy Length maximum wear glue on lashes in "Intensifying". 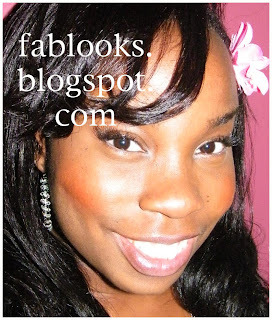 Read my review of Revlon Fantasy Adhesive lashes CLICK HERE. 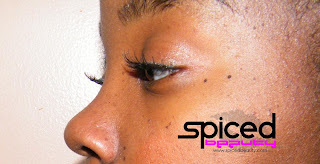 As MUA I know lashes play a big role. There perfect for a shoot, wedding, a night out or whatever! These lashes are NOT heavy or plastic looking like some other brands. The glue showed up WHITE on me. I tried masking it with eyeliner and it was gray. 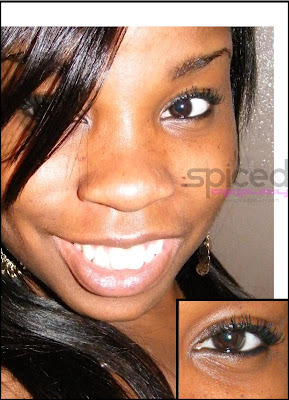 My advice is use these lashes with clear or black adhesive. Disclaimer:I was sent these lashes by Revlon. I was not paid to do this review. I finally got a domain name!! This is a big step! I know I don't have alot of followers but this is a great start! As you all have seen I'm trying so hard to keep it updated. Being Canadian I don't have all the exposure as my American girlies but you know I try my best to stay up there...If you have any suggestions or ideas for my blog..HOLLA! Lastly I have sooo much amazing things coming up for 2010!! Alot of reviews, hauls and giveaways! So stay tuned. Again thank you all sooo much!